Travelers to New York City have no shortage of eating and drinking options. From delis and diners to varied ethnic cuisine, five-star restaurants and an assortment of bars and lounges, no traveler goes hungry or thirsty in New York. And over the last decade, as quality cocktail bars have begun to infiltrate the United States, New York has been at the forefront, providing discerning drinkers with cocktails ranging from tried-and-true classics to innovative creations. 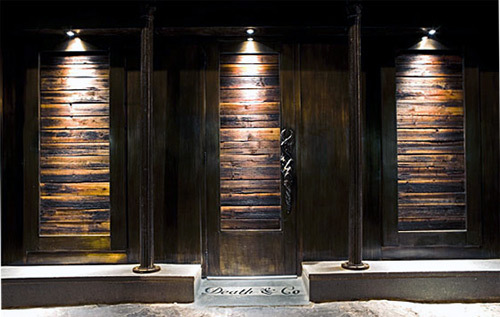 One of the better cocktail bars in New York City, a town featuring such renowned venues as PDT and Milk and Honey, is Death and Company. 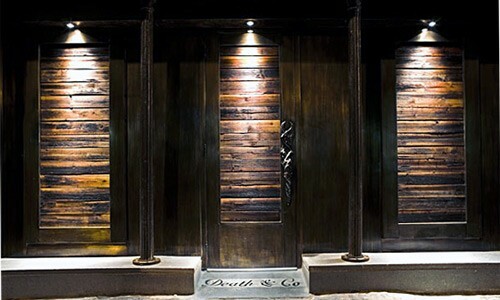 Established in 2007 and located in New York’s East Village neighborhood, Death and Company offers a selection of craft cocktails organized by spirit. Pick your poison and choose a whiskey or tequila cocktail, a refreshing gin drink or a bowl of punch, to name a few. Death and Co.’s drinks menu is mostly comprised of house creations, but the bartenders are happy to whip up classics like Manhattans and Martinis, if that’s your preference. Soak up all that booze with some tasty bar bites. Sample menu items include Kobe sliders, bacon-wrapped filet mignon, chestnut polenta and short rib empanadas. Furthering its credibility as one of the world’s top cocktail bars, Death and Company took home two Spirit Awards from this year’s Tales of the Cocktail. Death and Company was bestowed with the titles of Best American Cocktail Bar and World’s Best Cocktail menu – serious accolades for a serious bar.